Matrix functions and matrix equations are widely used in science, engineering and social sciences due to the succinct and insightful way in which they allow problems to be formulated and solutions to be expressed. 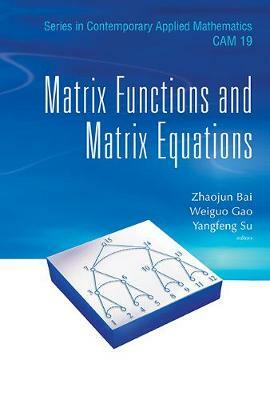 This book covers materials relevant to advanced undergraduate and graduate courses in numerical linear algebra and scientific computing. It is also well-suited for self-study. The broad content makes it convenient as a general reference to the subjects.